When you’re considering what is the best social media management tools, it comes down to three key ideas: Engagement, Analytics, and the networks your customers populate. Some social media managers opt for a single tool, while others use multiple tools – particularly in Enterprise environments. Which social media management tool should you pick? Read on to discover how to choose the right platform for you, and for our list of the 10 best. It’s all about community engagement. The companies most successful at social media use it to engage with their audience. They’re doing customer service, solving problems, answering questions, and helping people get more of what they want from their products and services. Take your cue from the most successful users of social media: Engagement isn’t broadcasting or replying. It’s listening and responding with intention. They’re not sharing what they ate for breakfast – they’re following the right accounts, watching for brand mentions and people’s feelings about the brand, and joining the conversation already in progress without butting into it. Picking the right tool can be a chore, given that there are dozens of social media management tools out there. Your choice of tool, or tools, depends on which social networks your customers use daily and the complexity and volume of interactions. 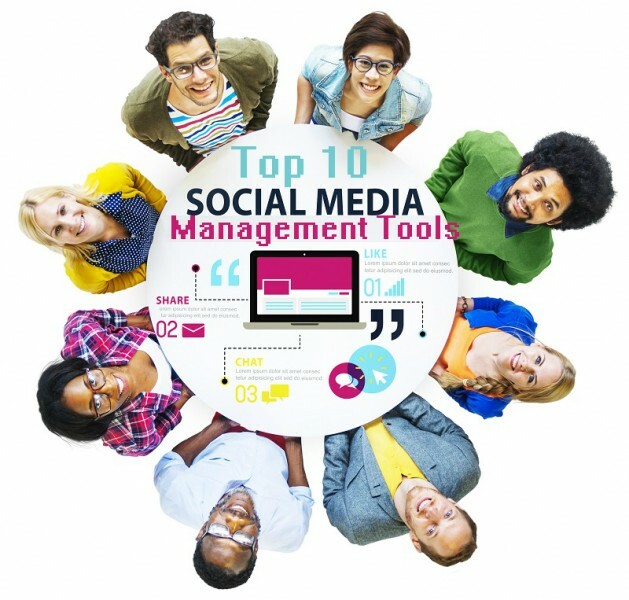 Here’s a look at 10 social media management tools and how they can help you engage your community of customers. There’s no question that Hootsuite is the big dog in this hunt. It is the most-used social media management platform, with over 10 million people using it. 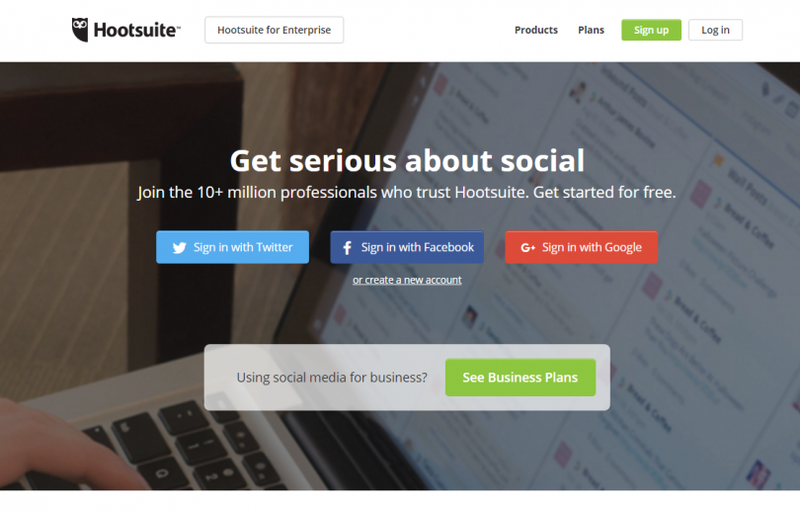 Hootsuite integrates with hundreds of business applications and many social networks. Sign up for your 30-day-free trial today. Pros: A large number of social networks supported, including Facebook, Twitter, LinkedIn, Instagram, FourSquare, and Google+. Excellent in-depth analytics and reports. Good user interface gives a single view into your networks. Features over 100 apps that integrate other networks and sites, such as YouTube and Salesforce. Cons: Users report that getting the most out of HootSuite requires negotiating a steep learning curve. Hootsuite University is available to help you learn to use it effectively. Additional team members and reports are expensive. The downside to its unified user interface is that it can get very crowded and, therefore, hard to follow. Costs from $9.99/month when purchased annually. Includes 50 social network profiles, one enhanced analytics report, 350 posts at a time, unlimited RSS feeds, extended security, and one extra team member. Pricing varies based on options selected. 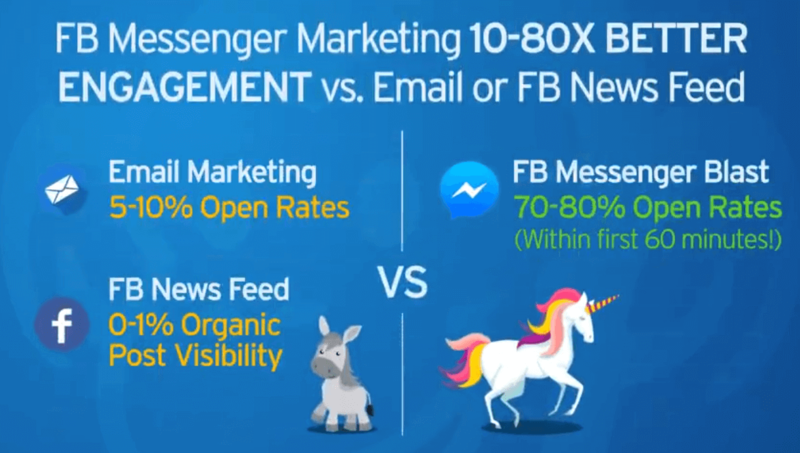 Includes unlimited social profiles, unlimited enhanced analytics reports, unlimited posts, unlimited RSS feeds, and up to 500,000 team members. 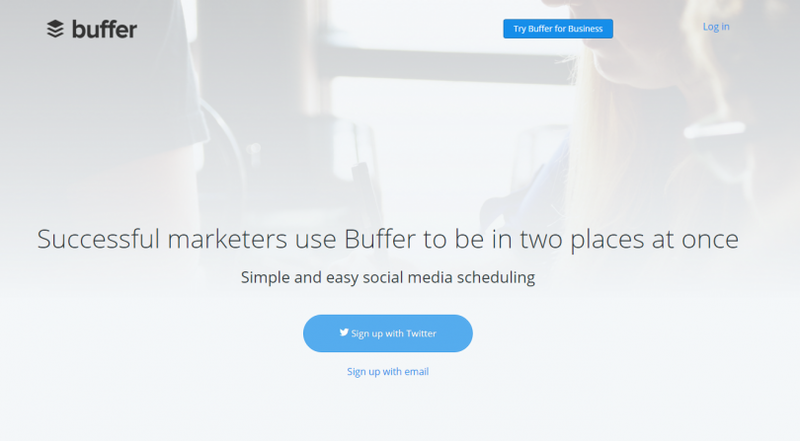 Buffer is the king of scheduling social media posts. Schedule one, or schedule multiple messages across different times and social media accounts. It’s easy to use, features an uncluttered interface, and is super simple. Its analytics are straightforward and even the free version provides a lot of useful information about your posts. With native video sharing and its Pablo tool for easily overlaying graphics with text and quotes, millions of social media marketers swear by it. Pros: Sports a clean, easy-to-use interface. Features native video sharing, built-in tool for natively overlaying text onto graphics. Good for broadcasting. Cons: Can’t view Twitter feeds or directly interact with followers. Free. Connect one profile per social media account. Store up to 10 posts for each profile at any given time. Choose days and times for posts (but not different times for different days). Basic analytics (weekly reports). $10/month or $102/year. Up to 10 social profiles for multiple account posting. Store up to 100 posts for each profile. Supports varied schedules and 15 RSS feeds per connected profile. Basic analytics (weekly reports). Small Business. $50/month or $510/year. 5 team members and 25 social media accounts. All business accounts provide additional analytics features, including Google Analytics integration, followers and fans growth tracking, selection of dates to analyze, metrics comparisons, export of analytics, and sorting based on engagement. Medium Business. $100/month or $1,020/year. 10 team members and 50 social media accounts. 5 team members and 150 social media accounts. Large Business. $250/month or $2,550/year. TweetDeck is a cross-platform Adobe AIR client and iPhone app that provides social dashboards for your Twitter accounts. Pros: Monitor multiple timelines. Access the dashboard through any web browser on any platform. Multiple social media account access. Easy selection of accounts from which to retweet. Customize your Twitter experience. Build custom timelines, keep track of lists, and automated searches to track topics, events, and hashtags. Cons: No mobile app version. Non-intuitive user interface. Scheduling tweets can be clumsy and tedious. 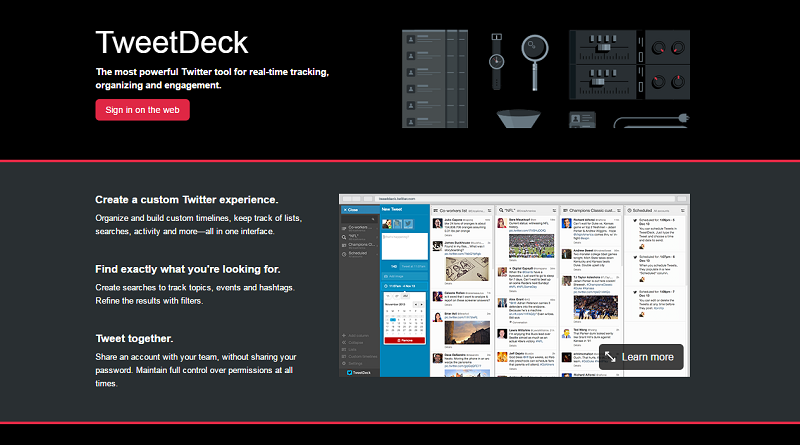 Pricing/Pricing Plans: TweetDeck is free. If what you’re doing is monitoring the web and social networks for keywords, Mention is the tool to use. With it you can create alerts for any keywords you want to monitor – your company, your brand, your competitors, and so on. When you connect your social accounts to Mention, you can also reply or join a conversation directly from the Mention interface. Provides analytics on your keyword alerts. Pros: Strong at team collaboration on managing conversations in your social accounts. It’s Statistics and Exports feature gives you data about each alert, showing the number of mentions, the timeframe, and where the mentions originated. Cons: No free plan, though there is a free trial, which only one alert and one user. Not for the small business or individual user. Free Trial. Free trial only. Limited to one alert and one user. $29/month. Three alerts, track up to 3,000 mentions/month, three users. $99/month. Five alerts, track up to 10,000 mentions/month, five users. $299/month. 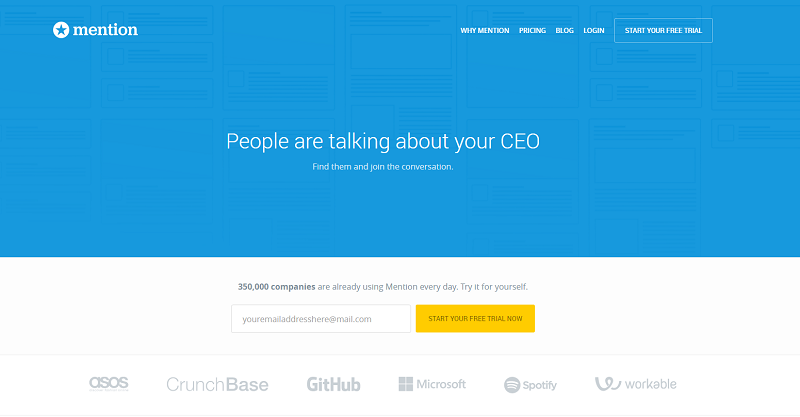 Ten alerts, track up to 50,000 mentions/month, ten users. $799/month. 30 alerts, track up to 500,000 mentions/month, 30 users. 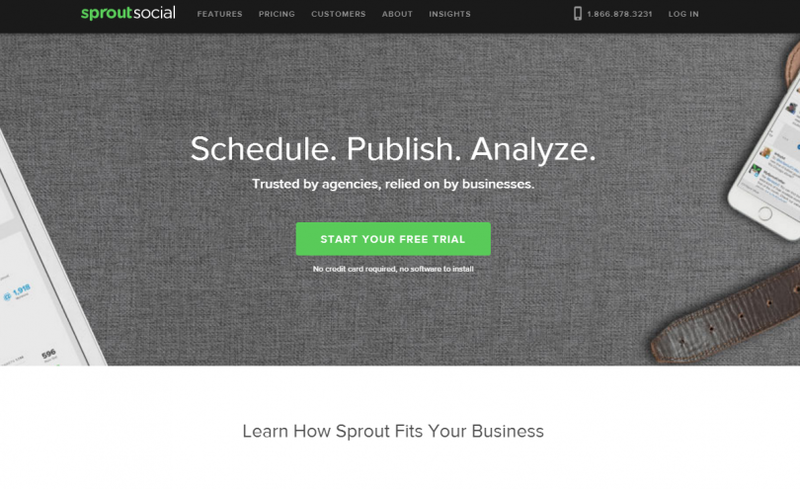 Sprout Social is a social media management tool that lets you schedule and post a message to multiple social media accounts. You can manage multiple social profiles at the same time. Allows teams to collaborate on tasks and assign them to other team members. Provides in-depth analytics, brand monitoring, competitive insights, and social CRM features. Start, monitor, and join social conversations. Pros: Intuitive, easy-to-use interface on both web and mobile platforms. SalesForce, ZenDesk, and UserVoice integration. Publish across networks and devices. Conversation history. Monitor and set alerts for keywords. Strong analytics. Supports Facebook, Twitter, LinkedIn, and Google+. Cons: No individual, free version. Expensive for the individual and small business user. No Instagram or Pinterest integration. Free Trial. Offered for all paid versions. $59/user per month. All-in-one social inbox. Real-time brand monitoring. Publishing, scheduling, and drafting. Comprehensive reporting. Manage Up to 10 Profiles. $99/user per month. Includes all Deluxe Features, plus publishing send-time optimization, advanced reporting, and helpdesk integration. Manage up to 20 profiles. Includes all Premium Features, plus advanced publishing permissions, 24/5 support, custom branding. Manage up to 30 profiles. If you’re a SalesForce aficionado and you’re managing social media, its Marketing Cloud add-on features a very good social media management tool called Social Studio. 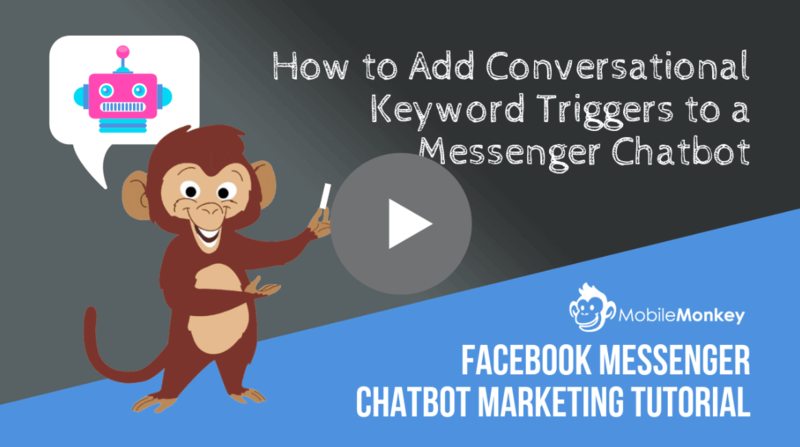 Analyze conversations from over 650 million web sources to discover what customers are saying about the keywords, branding, and topics in which you’re interested. You can publish posts across social network and run social media marketing campaigns. Its integration across the SalesForce Customer Success Platform means that marketing, support, and sales can all connect and interact with customers. 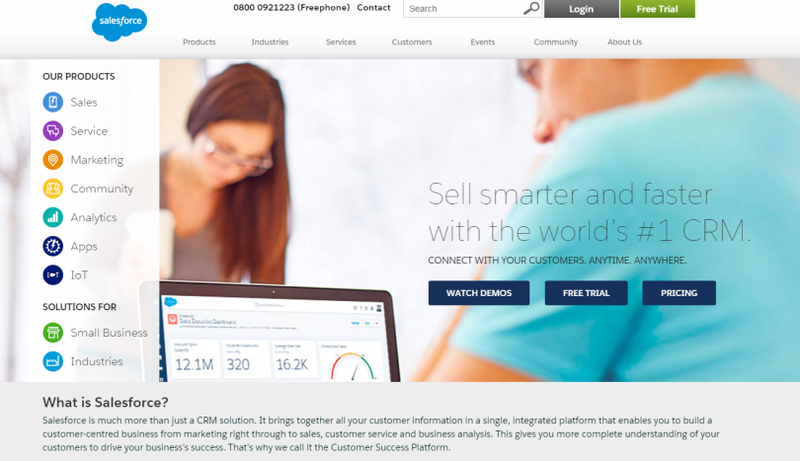 Pros: Works seamlessly with SalesForce.com. Easy content scheduling. Facebook and Twitter integration. Aggregated content calendars, which are easy to share with other users for campaign management. Dashboards for reporting. Cons: No native video posting. No LinkedIn photo posts. No Instagram support. Does not support native Facebook tagging. Prohibitively expensive for most individuals and small businesses. Plans Start at $1,000/month. Contact SalesForce.com for specific pricing details and a demo. 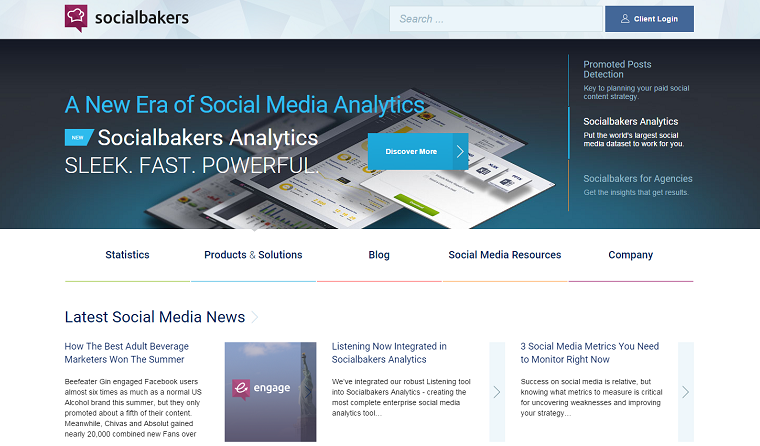 SocialBakers is one of the world’s largest social marketing & analytics suites, with over 2,500 clients. It provides an enormous database of free social media statistics and insights in the world. With it, companies can measure, compare, and optimize social media campaigns with an amazing array of data-driven insights. SocialBakers is the only analytics platform that provides global industry benchmarking and local categorization in social media. Facebook awarded Socialbakers 3 Preferred Marketing Developer badges in recognition of its capabilities. Pros: Provides a simple, easy-to-use interface. Excellent competitive analysis and visualization tools. Supports multiple social networks, including Facebook, Twitter, and YouTube. Cons: Supports fewer social networks than other, comparable tools. All plans support only 5 users. No free version. Expensive for individuals and small businesses. $120/month, three monitored pages, five users, 30-day data history. $240/month, seven monitored pages, five users, 90-day data history. $480/month, twenty monitored pages, five users, 90-day data history. Contact SocialBakers for information and pricing on their Executive Dashboard and SocialBakers Builder products. Oktopost is the tool to use for large-scale content distribution to social media across all of your profiles and company pages. It is designed for creating promotional campaigns on social media. It provides lead tracking and analytics that identify which social media networks, profiles, and posts are the most effective for your audience. Pros: Track the total number of clicks on your posts. Bulk post scheduling. Unified dashboard from which you can publish and schedule posts across your social channels. Excellent measurement tools for determining campaign ROI. Integrates with third-party platforms such as SalesForce and Marketo. Cons: Cannot share a content item simultaneously across multiple social channels. Expensive for individual users and small businesses. Free Trial. All plans come with a 30-day free trial. $55/month. One team member, 15 social profiles. Includes Social Publishing, Social Inbox, Social Analytics, Content Curation, Social Streams, and Publishing Queue. Basic+. $123/month. Three team members, 25 social profiles, five advocate users. Includes all features of Basic, plus Conversion Tracking, Lead Capture, UTM Tagging, Social Board, Hubspot Integration, Geo-Targeting, and Bit.ly Integration. $476/month. Five team members, 50 social profiles, 25 advocate users. Includes all features of Basic+, plus Act-On Integration, Eloqua Integration, Marketo Integration, Net-Results Integration, Salesfusion Integration, Salesforce.com Integration, Roles & Permissions, and Dedicated Support. Depends on your needs. Contact Oktopost for details. Raven Tools is a social media marketing tool designed to manage and report on your online marketing campaigns. It provides over 30 marketing tools, including SEO, social media, content marketing, and pay per click tools. It’s customizable reporting tools are top-notch. Raven Tools provides tools for team collaboration, analytics, and integrates with numerous third-party tools. Pros: Drag-and-drop report building and automation. Excellent selection of tools. Extensive integration with third-party applications as diverse as Aweber, Twitter, Facebook, YouTube, LinkedIn, Klout, Google Analytics, and more. Cons: Analytic tools are not as useful as they should be. Contact Finder tool is unreliable. $99/month. 4 users, unlimited marketing campaigns, unlimited website audits, up to 10,000 pages per day, unlimited automated, branded reports, free email-based help and training. $249/month. Unlimited users, Unlimited marketing campaigns, Unlimited website audits, up to 10,000 pages per day, Unlimited automated, branded reports, Free email-based help and training. Forrester called this “the most powerful technology in the market” because of the completeness of its coverage. Its social media management tools support over 20 social channels, feature 20 Enterprise-level modules, and understand over 70 languages. It excels at content publishing and customer engagement and is designed for large collaborative teams at scale. Pros: Customizable. Scales well. Broad social media management and marketing coverage. Excellent team collaboration tools. Well-designed content/editorial calendar. Cons: Expensive. Long implementation and learning curves. Tracking keywords and general social listening capabilities subpar in comparison with competitive products. 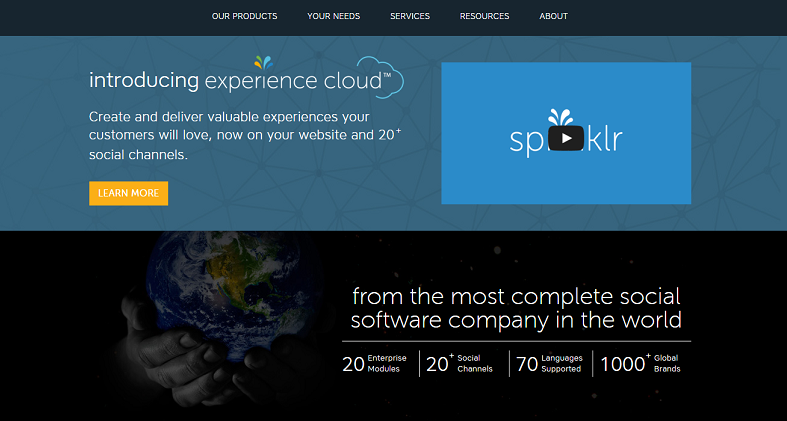 Contact Sprinklr for pricing information and a demo. As you can see, there is a great deal of choice available online when it comes to social media management tools. Whether you are a one man band or a multinational company, there should be an online service in this list to cater for your social media needs. Have you used any of these services before? What are your thoughts on them? Be sure to leave us a comment below and share your experiences with the different social media management tools. Really nice list of social media management tools. Social media management tools are really important in order to save time and make your social campaign more productive. However, out of these I prefer Hootsuite and Buffer most. Hey, what about Commun.it? It’s a very powerful and simple tool for small businesses and I think many of the site readers would find it the most appropriate for their needs. It basically suggests smart things for you to do in your Twitter account to get more reach and engagement. Perfect, we’re happy to be of use to you Tommy! Why not try out our free trial of Hootsuite and let us know how you get on. I’ve been looking into using a management tool for my social media so this post has come at a great time for me. Thank you for taking the time to share your experience with Hootsuite Ariana! We are constantly hearing great reviews about their social media management. I just wanted to let your other readers know that I cannot recommend Hootsuite enough! I have the $9.99 per month plan and its perfect for all of my online business social media needs. Great to hear this vince, let us know how you find it!